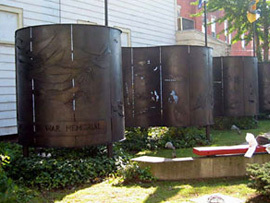 Greenfield War Memorial (1965) by Homer Gunn. 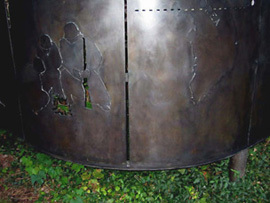 The bronze surfaces were typical for outdoor works in northeastern weather and environment. Light green corrosion was present in all the pieces. Bird droppings, spider webs, gum, leaves, and garbage were in many locations on and/or near the sculptures. This is a common and persistent problem for works in busy pedestrian areas. seks znakomstva, seks znakomstva, seks znakomstva.